A skill point event you say. That is just what I need as I have too many things I need for my build and not enough points . A lot of skills have been updated. BERSERKER Rare Skill Set added. I have heard the cries of the people and today I bring to you FFMSL Battle and Stats System ver 5. From now on, we'll refer to STATS POINTS as ATTRIBUTE POINTS (AP), so not to confuse it with Skill Points (SP). Also I think a lot of you will like the new Skill Point gain. At every 50th level, instead of gaining just 1 Skill Point you will gain 2. Start changing those terms and updating your SP! If it's not to much trouble - which? It is. I started with one skill then kept going and going until I lost track of which ones I updated. Anyway these are only minor changes like which dice to use and some cooldown changes and stuff. Thank you, that helps tremendously! Lancea Tenebris has been updated. Hero of Chaos turn reduction skill has been updated. Bottom line it does stronger damage and costs higher, but can no longer be spamed by having 0 cooldown. Demonic Aura replaced by Nero's Aura. The Dreadfort has been added to the northern locations. It sits on the Northern part of Wrozan, on the other side of the bridge in Northbridge. 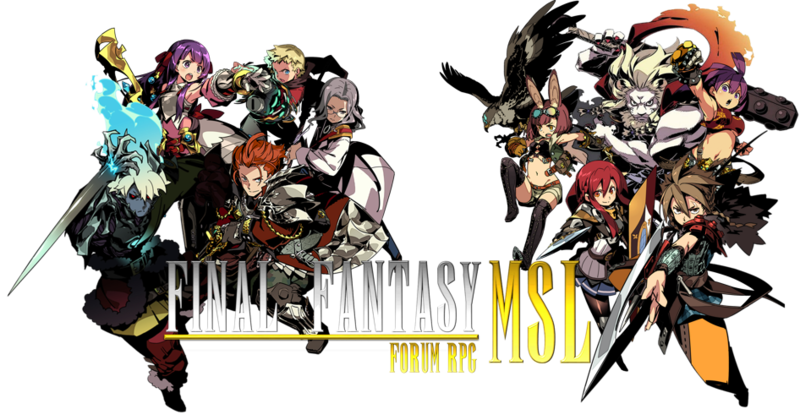 I'm going to be running a Beta ver of two new games called the FFmsl Slot Machine and FFmsl Roulette, which are part of the FFmsl Casino System. When it comes out I want you guys to just spam the hell our of it. I want to check if it has any bugs. Those who will participate in the beta testing will receive bonuses. Shell and Protection I and II has been improved, they can now be used multiple times in one Turn Phase. Floating XP has been added for Moderator use. These are the XP awarded by the moderator that hasn't been added to the Player's XP pool yet by me/the Admin. After I add them to your XP pool, the value of your Floating XP will reset to 0. One look should say it all. But before you guys get excited, take note that this will have a counter balance, game's difficulty will increase. Changes are highlighted in this font color. Update your Attributes as soon as possible. TRI-SHOT and PENTA SHOT updated. Good update. I look forward to more updates.